We could take the word endurance out of the sentence above and still have a pretty good quote. The keys, in Seiler’s words, are maximizing performance while minimizing the risk of negative training outcomes. Does that sound familiar? Unfortunately, it seems like a week does not go by without another 20-something intern or young coach waxing poetically about the value of aerobic training. Most of this newfound fascination with the aerobic system is fueled by Joel Jamieson’s Ultimate MMA Conditioning book. Allow me to digress for a moment. Joel’s book is an excellent read. Joel is a training expert who understands the context of his own writings. The praisers, on the other hand, are often blissfully unaware and are rushing to apply concepts they don’t fully understand to sports they don’t fully understand, all the while talking down to successful coaches with decades more experience. In these cases, the inexperienced coaches only show their collective ignorance and lack of historical knowledge as they seek to point out the mistakes of those who are far more experienced. One point is critical to understand. MMA, and all combats sports for that matter, are unique. The combat sports—MMA, wrestling, boxing—are negative work-to-rest sports. These sports require the athlete to compete at a high level for period of time that far exceeds the rest period. This is not present in any other field or court sport. A history lesson is also necessary in order to fully understand why I feel so strongly about this topic. For the past 30 years, those of us old enough to remember have campaigned vigorously against steady-state aerobic training. 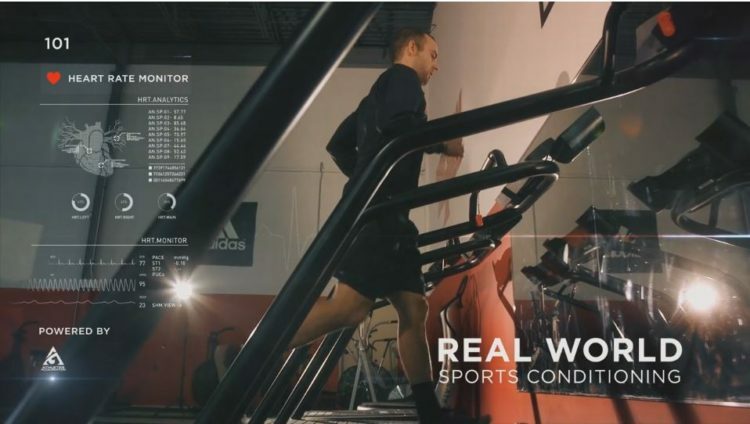 Thirty years ago, and even less than 20 years ago, athletes in all team sports were having their fitness evaluated via steady-state tests like a two-mile run or a 12-minute run or, worse yet, by a physiologist using an exercise bike. Athletes were told whether they were in shape or out shape not based on any type of sport-related performance, but rather by performance on standardized tests of aerobic capacity. I can remember our football linemen—yes, linemen—having to run a mile-and-a-half in 12 minutes in order to prove their fitness. I can remember our skill position players running two miles in 12 minutes. For many of us in the coaching world, this never made any sense. However, the scientists insisted we were wrong, even though they had little or no experience training team sport athletes. I personally watched athletes train themselves out of professional sports careers by attempting to raise V02-max to please a team physiologist. During those years, I watched my athletes do the opposite of what was recommended and instead train for speed, power and what Vern Gambetta called specific work capacity. Our athletes also began to take jobs from guys who were only trying to follow their team’s program. I know that neither Joel Jamieson or Dave Tenney is recommending steady-state aerobic training, but I also know the message quickly gets diluted. These guys have been very specific in not recommending conventional steady-state work, but the second generation of praisers and sycophants won’t be so smart. More aerobic work will mean more aerobic work, and the delivery system will be lost in translation. I’m not a physiologist, far from it. I struggle to understand the difference between cardiac power and cardiac output. Those who write these pro-aerobic articles might view me as foolish, but I’ve always felt the idea of specific work capacity made a lot of sense. In the late ’80s and early ’90s, Vern Gambetta said in effect, damn the physiologists, let’s just watch the game and then train for what we see. Maybe that appealed to the simpleton in me, but I bought in lock, stock and barrel. At that time, my main focus was on hockey and football, two very different sports. Hockey players back then were told they weren’t fit and the solution was daily long bike rides of up to 60 minutes to develop aerobic capacity. They were told they needed more aerobic capacity to recover better. I questioned this. Recover from what? A minor league game? I wanted to train my players to dominate the game, not recover from it. So we analyzed the game, and the best players seemed to be big and fast and not necessarily very fit. In the case of a hockey forward, there was a rest-to-work pattern in the three-to-one range and shifts of approximately 45 seconds. We did the same analysis for football. Again, big and fast seemed to correlate with success. Fit in the conventional sense didn’t. In football, the play lasted less than five seconds with rest sometimes as high as 40 seconds. We began to target these patterns for our football and hockey players. Not surprisingly, we began to dominate college hockey and sent lots of players to the NHL. In football, we produced a bunch of first-round draft picks. Also not surprisingly, these same players were often told they were unfit based on the physiological or performance tests administered by the teams. However, their speed and ability caused them to be successful in games. I’ve coached thousands. They get way too much low-intensity work and not nearly enough high-intensity work. Kids today participate in hundreds of low to moderate intensity practices and never learn to push out of the comfort zone. For the players Dave Tenney gets to work with or for Joel’s MMA guys, this may not be the case, but they’re dealing with the exceptions, not the rule. We’re seeing the elite exceptions and then remaking the rules based on these exceptions. This is a critical coaching error. We have to be careful when we extrapolate from elite coaches or elite athletes. Elite coaches may have an innate sense of what to do next, while elite athletes may be getting by on something other than good training. The truth is that almost every athlete needs to be bigger, faster, and stronger in every sport. Are there exceptions? Maybe. However, our job is not to isolate exceptions. More importantly, our job is not to make rules based on exceptions. Just as there are very few who are big enough, fast enough or strong enough, there are very few who are fit enough or work hard enough. To say we need more ‘low’ might be crazy in the 80/20 world. Maybe 20% need more low-intensity work, even at the elite level, but I believe that 80% need more high-intensity work. Another area to consider is logistics. In NCAA conditions, you’re given eight hours per week in the off-season. Can you budget half of this time to low-intensity cardiac output work? How about in a privately owned performance center? Most athletes here have less than eight hours a week. Do we prioritize strength and power—two quantities not addressed in practice—or cardiac output if we know they practice their sport three times a week? Kids play year-round at low to moderate intensity, never strength train, and never do interval work. More low or more high? Read Seiler’s quote again, minus the word endurance. People should work on their weakness as long as working on their weakness does not involve steady-state work. I’ve lived and died by these concepts while helping athletes win Olympic Gold, National Championships and World Championships. Our players are often considered the fittest based on performance, but never based on tests of aerobic capacity. Making coaches understand that being in shape for sport is different than being ‘in shape’ was difficult. It took years to steer both coaches and athletes away from steady-state aerobics. In effect, we didn’t have great tests, but we trained the athletes for the tests anyway. Alwyn Cosgrove is fond of saying that we overreact in the short term and underreact in the long term. Remember that history repeats itself—it took us a long time to swing the pendulum away from steady-state aerobics. The next time you think the world needs more aerobic work, ask yourself this question: When was the last time you saw someone drenched in sweat, panting after an interval workout and you didn’t make them do it? Guys like Joel Jamieson and Dave Tenney understand their own work. If you saw what they did and how they did it, you might be surprised. As a young coach, pay attention, not just to terms, but to what they’re actually saying. And don’t be too quick to jump on what you don’t understand. 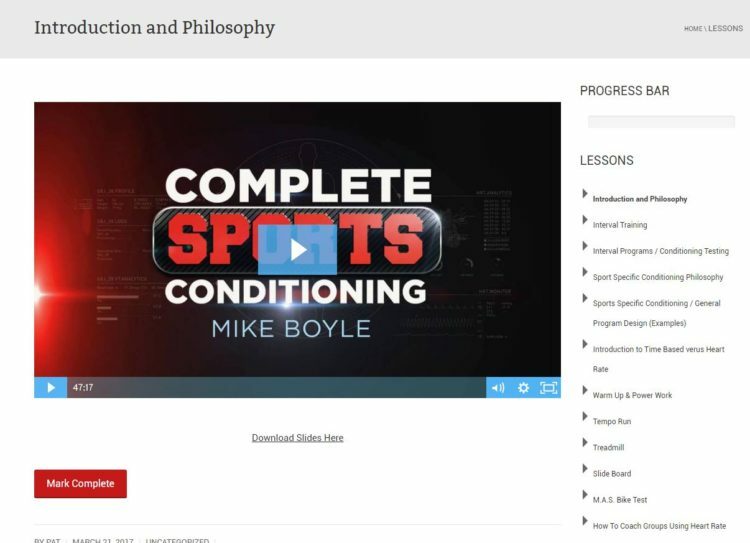 If you’d like to learn more about sports conditioning from Mike Boyle, he has a new course called Complete Sports Conditioning. Mike is also the author of Advances in Functional Training.